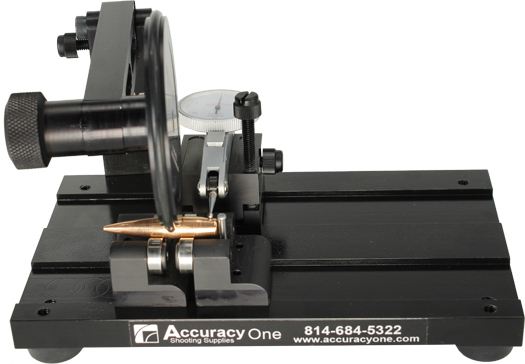 21st Century Shooting’s all-new Concentricity Gauge looks like a winner. 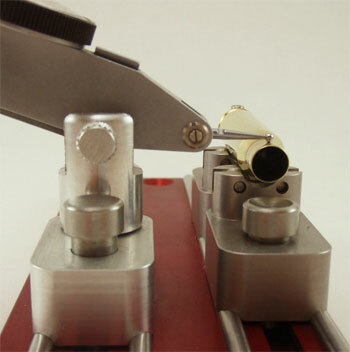 The cartridge case rides on four spinning rollers that allow smooth turning movement with low drag. These rollers are far superior to a set of V-Block supports, or even some ball-type supports. The amount of eccentricity (run-out) is measured with a high-quality horizontal dial test indicator. In this application, a horizontal indicator works better than the typical vertical dial indicator with spring-loaded shaft used in most other concentricity gauges. 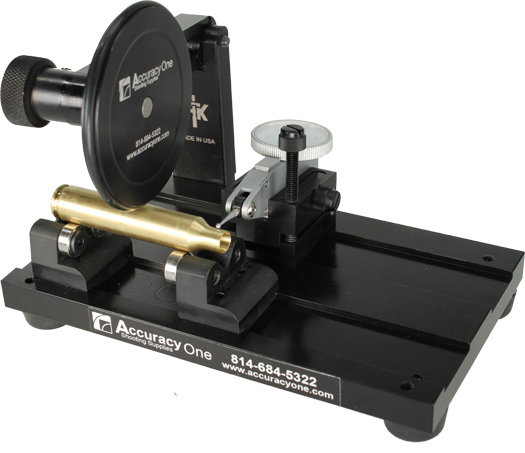 We think that, with 21st Century’s new Concentricity Gauge, you can measure cases faster, with less effort, and greater repeatability. In addition, this device can measure the INSIDE of the case neck, not just the OUTSIDE. 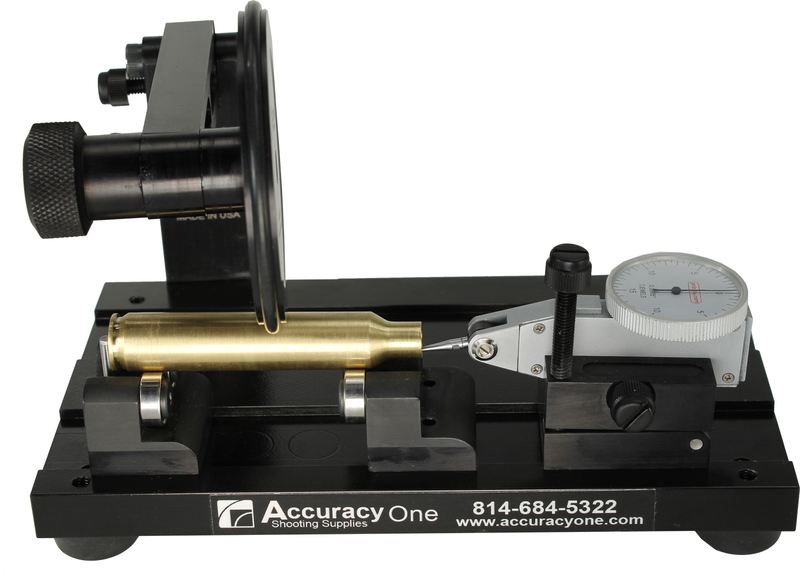 Overall, this is a very impressive new tool that is unquestionably superior to many other Concentricity Gauges on the market. Given the capabilities of this device, the price is reasonable: $169.00 including Horizontal Indicator. The Gauge by itself costs $125.00, while the Indicator alone sells for $59.00. 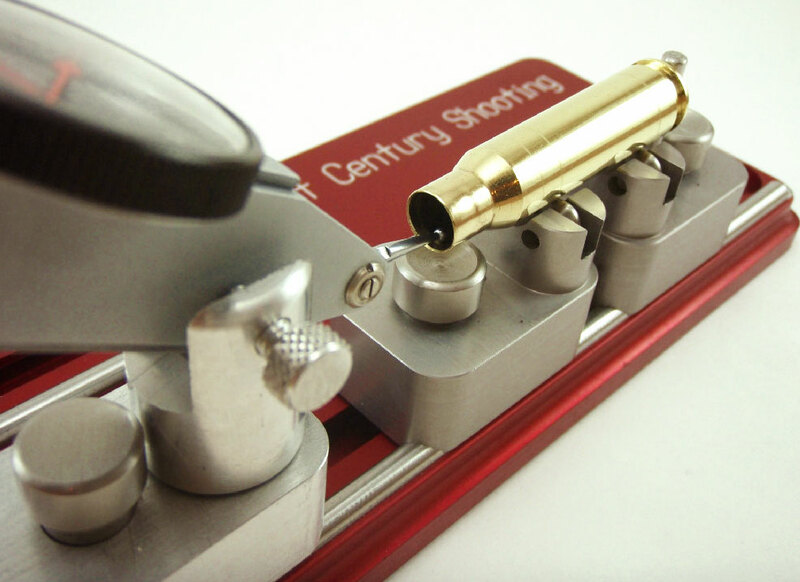 21st Century explains the advantages of its new design: “At 21st Century Shooting, our goal to modernize an industry that has seen little change over the years. 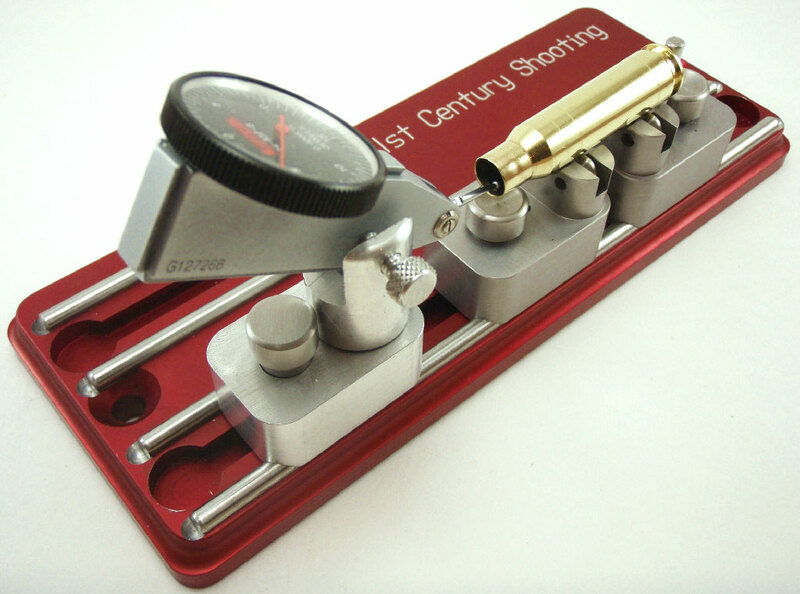 The new concentricity gauge is a perfect example. Most conventional concentricity gauges use what is called a height indicator gauge (Dial Indicator with vertical shaft). 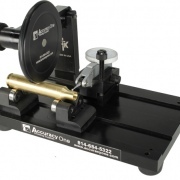 Although economical, this type of gauge was not intended for the purpose of measuring rotating diameters. The vertical-style indicator can produce inaccuracies due to indicator rod flex and bounce. 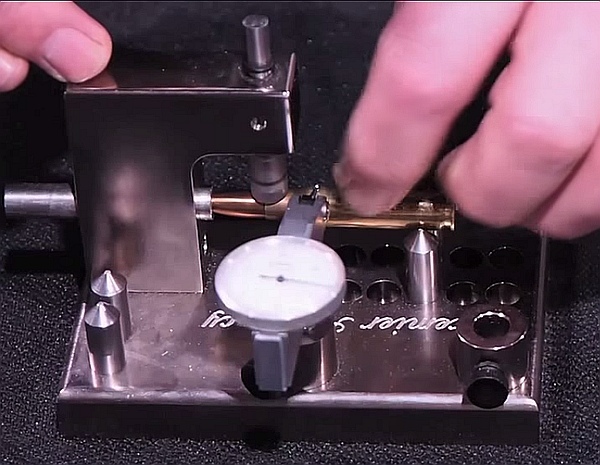 Our new Concentricity Gauge uses a horizontal dial test indicator. 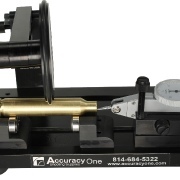 This type of gauge was designed specifically for checking rotating diameters and in fact is exactly the type of gauge used in the machining industry for decades to measure run out — the very thing that we as hand loaders are striving to minimize or eliminate. 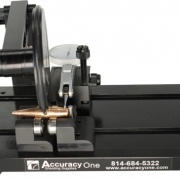 Share the post "21st Century’s Impressive New Concentricity Gauge"